This unique vintage designed Bluetooth speaker is now on sale offering an impressive 43-percent for what is likely to be a limited time offer. If you miss the days of yesteryear but appreciate modern technology, then this hardware is definitely going to appeal to you. Most consumers are becoming used to hardware taking the form factor and looking the same as every other product on the market. This is especially true from a Bluetooth speaker perspective with most manufacturers following one of a small number of design trends. If you want something a little different. Something that takes its roots from the old amplifiers of the past. Then this Bluetooth speaker is for you. As like most Bluetooth speakers, this is an extremely portable solution that comes with class 4.0 Bluetooth technology. This ensures that you are going to be able to easily pair the speaker with other Bluetooth streaming devices to stream music to the hardware as well as ensure that you should get at least a 100-foot pairing range with any device. Ideal if you don’t or can’t have the streaming device located right next to the speaker. It also offers up to a whopping 25-hours of playback time on battery. 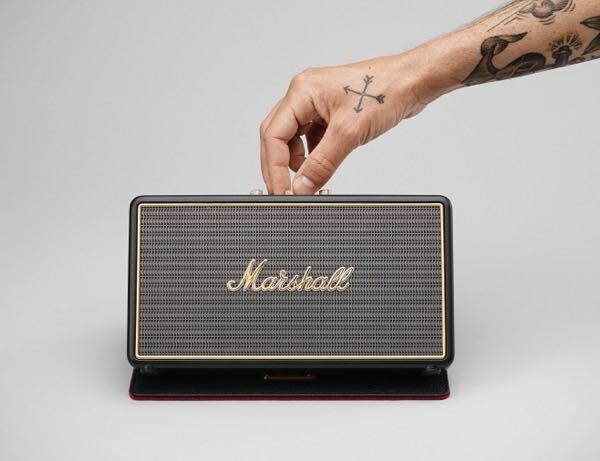 The Marshall Stockwell speaker adheres to the fact that most Bluetooth speakers are also capable of acting as a speakerphone for incoming and outgoing telephone calls when connected to a smartphone. 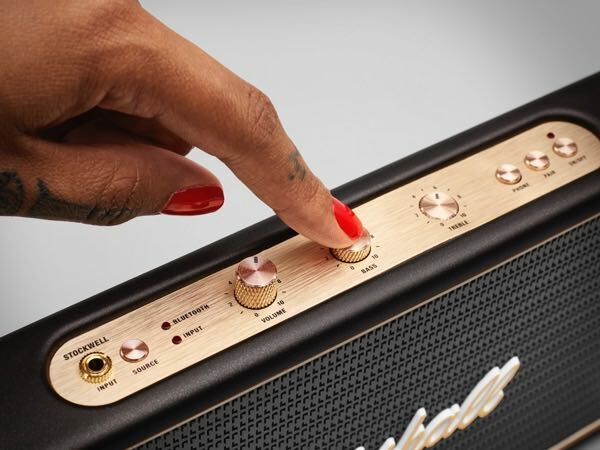 All of that is amazing but then you factor in the fact that it looks utterly gorgeous and comes with a handy, stylish, and protective flip cover that has been perfectly designed to fit the aesthetics of this speaker. The detail, stylings, and overall form of this hardware are definitely going to make you reconsider a purchase of any of the competition in this price bracket. This is the smallest travel speaker made by Stockwell so don’t expect the audio performance of the same caliber of a Sonos One or an Apple HomePod but you definitely get what you pay for. And then some when you consider the whole package. Grab it right now whilst you can still command a 43-percent discount.